An inspired West Indies clinched the ICC World Twenty20 crown with a comfortable 36-run victory over Sri Lanka, riding on Marlon Samuels' brilliant counter-attacking knock to win a major global title after over three decades. Batting first in front a 35,000 partisan crowd, Samuels held his nerve as he smashed a heroic 78 off 56 balls to steer West Indies to 137 for six and then the Caribbeans shot out the hosts for 101 in 18.4 overs. It is the West Indies' first world title after a gap of 33 years having won the ODI World Cup back in 1979. They did triumph in the Champions Trophy in 2004, but that is not considered a World Cup. For Sri Lanka and Mahela Jayawardene, it was another case of 'so-near-yet-so-far' having now lost four World Cup finals (two 50 overs and two T20s) across two categories. 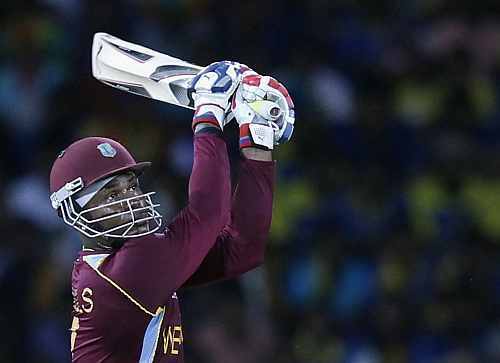 Samuels played one of the most memorable innings under pressure as he thumped five of his half a dozen of sixes off T20 specialist Lasith Malinga's bowling, making batting look easy on a pitch where almost every other batsmen struggled. Samuels alone spoiled Malinga's figures as he went for 54 off four overs after Ajantha Mendis took 4/12. 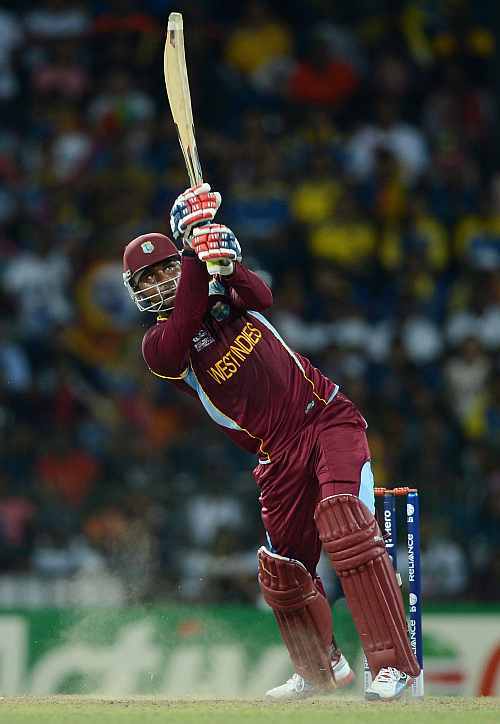 While only 32 runs came off the first 10 overs, the Caribbeans, courtesy Samuels and skipper Darren Sammy (26 n.o.) managed 106 in the back 10. The total might not have been a challenging one but the manner in which Samuels batted, having scored more than half the runs, the innings will be remembered for a long time to come. Defending a small but competitive total, Ravi Rampaul bowled a beauty to dismiss Tillekaratne Dilshan. The ball pitched in line and then moved a shade to knock back the off-stump. Samuels could have removed Jayawardene who swept uppishly but Bravo, covering a lot of ground from the deep, couldn't latch onto the difficult chance. 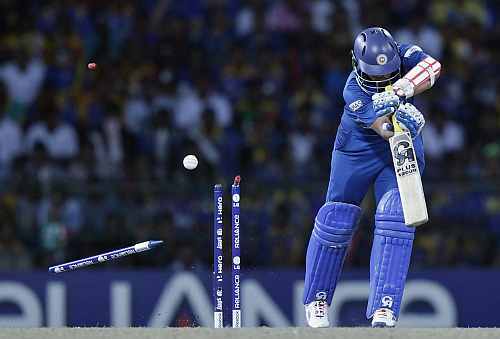 Jayawardene and Sangakkara steadied the ship, adding 42 runs for the second wicket, although they were not able to give the bowlers a charge. Finally, Sangakkara ran out of patience as he rocked on to the backfoot to pull leg-break bowler Samuel Badree as Kieron Pollard, stationed at deep mid-wicket, held on to an easy catch. He managed 22. Angelo Mathews tried a needless lap-shot of a straight delivery from Sammy, which hit the middle stump, as Sri Lanka were reduced to 51 for three. The situation demanded a special innings from the Sri Lankan captain but he tried an ambitious reverse sweep off Sunil Narine, which gently lobbed to Sammy who took an easy catch at backward point, as the match decisively tilted in favour of the West Indies. Jayawardene managed 33. Jeevan Mendis, Thisara Perera were run-out due to enormous pressure and after Lahiru Thirimanne holed out in the deep, the writing was clear on the wall. Earlier, the pressure of playing a World Cup final was telling on Johnson Charles as he offered a simple catch to Nuwan Kulasekara at mid-off in Mathews' opening over which was a wicket maiden. The first run for West Indies came when Kulasekara bowled a wide after three dot balls in the second over. The first run off the bat came off the 17th legal delivery and the first boundary in the next over when Samuels punched one through covers. Gayle was strangled by the Lankan bowlers and finally Mendis got him with a straighter one that looked like hitting the leg-stump. The Powerplay yielded only 14 runs for West Indies and Sri Lanka had already got the opposition match-winner out of the equation. There were not many demons in the pitch and the ball was coming onto the bat but Sri Lankan bowlers maintained discipline during the initial phase as West Indies managed only 32 for two in the first 10 overs. The 13th over saw Samuels finally breaking the shackles as he hit Malinga for three sixes with 21 runs coming off that over. The first six was hit over mid-wicket when Malinga, watching Samuels move towards leg-stump, fired one into the block hole and the batsman flicked it into the stands. The second one was also bowled in the block hole and this time it was spanked over extra cover. The third one was a length delivery that was hit over long-on. The 50-partnership came off 43 balls while Samuels completed a well-deserved half century with a six off leggie Jeevan Mendis. Bravo (19) was wrongly adjudged leg-before off Mendis by umpire Simon Taufel, standing in his last international game. Kieron Pollard chased a wide delivery to be caught at short third man while Andre Russell tried a sweep shot and was adjudged leg before.